You can enjoy a holiday in Tabiano not just for the wellness but also for a dive in Culture, in Sport and in Eno-gastronomy. Only few kilometres away from here it’s possible to visit castles, strongholds, medieval village and renascence courts, artistic and musical sites, exhibitions and expositions. For example Fontanellato, with Sanvitale stronghold, rich of Parmigianino’s fresco, and with the famous Sanctuary; Soragna with Meli Lupi’s stronghold, more famous for its Lady Cenerina ghost than its epochal furniture; the medieval villages of Castell’arquato or Vigoleno and the Royal Palace of Colorno. 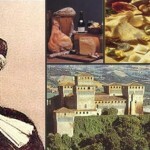 Important castles to remember are: Torrechiara, Compiano, Montechiarugolo and above all the fortress of Bardi. Not forgettable are the “Verdi’s sites”, where the Master Giuseppe Verdi was born and lived, and the renowned Museum of the Magnani Rocca Foundation. Further it’s easy to reach important Art town as Parma, Piacenza, Cremona, Mantova and Sabbioneta. In Tabiano you can practice all kinds of sports. Pleasant for beautiful walking or bicycle riding, there are also tennis courts, beach volley, soccer, open swimming pool and manege. A special mention to the Golf and Country Club.